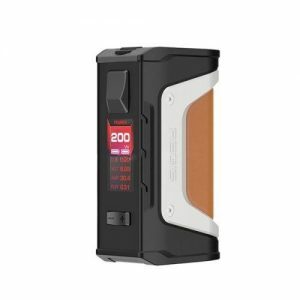 The Vaporesso Polar Mod can fire up to 220 watts and is powered by the new OMNI Board 4.0 which allows for an incredibly fast firing speed of 0.001 seconds. The Polar features an incredibly large 2.0″ TFT color display screen with a detailed operating interface. The Polar is powered by (2) high amp 18650 batteries (sold separately) which may be replaced using the magnetic battery door panel. The Polar may be charged via the micro USB charging port.